The European Court of Human Rights on Monday rejected a case from British parents who want to take their terminally ill toddler to Italy for treatment instead of allowing a U.K. hospital to remove him from life support. 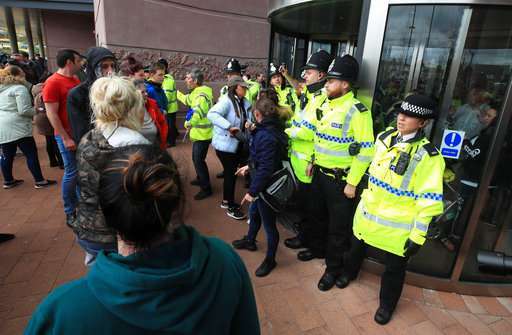 The Strasbourg-based court said it received an application from the parents of 23-month-old Alfie Evans on Friday to potentially delay Alder Hey Children's Hospital in Liverpool from removing him from life support. The court rejected the application as "inadmissible," but wouldn't specify on what grounds. Cases can be deemed inadmissible at the court if they are thought to be "manifestly ill-founded." Justices at Britain's Supreme Court last week upheld a lower court's conclusion that it would be pointless to fly the boy to Rome for treatment. Doctors say Alfie is in a "semi-vegetative state" as the result of a degenerative neurological condition that medics have been unable to definitively identify. Earlier British court rulings blocked further medical treatment and ordered the boy's life support to be withdrawn. Alfie's parents, Tom Evans, 21, and Kate James, 20, want to take him to the Vatican's Bambino Gesu Pediatric Hospital. Doctors at Alder Hey believe that wouldn't be in the toddler's best interests, and British courts have agreed. The case has drawn the attention of Pope Francis, who during a Sunday blessing in St. Peter's Square this month offered prayers for Alfie and others who are suffering from serious infirmities. Francis met last week with Alfie's father and has made appeals for the boy to be kept alive, saying only God can decide who dies. Italy on Monday granted Alfie citizenship in hopes that doing so would facilitate his "immediate" transfer to Rome, the Italian Foreign Ministry said. The head of the Bambino Gesu Pediatric Hospital, Mariella Enoc, traveled to Liverpool to make an in-person bid to have the boy transferred to the Vatican facility. She said Pope Francis asked her to do everything "possible and impossible" to save him. 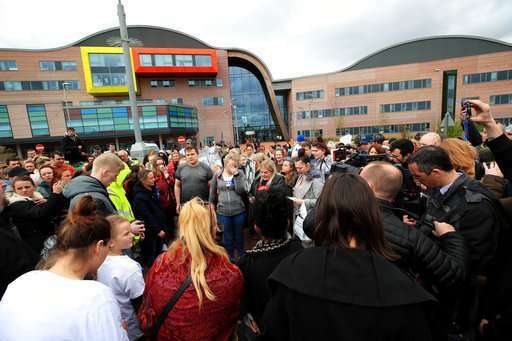 Dozens of supporters of Alfie's parents gathered Monday outside Alder Hey hospital, and reacted with anger to the court decision. 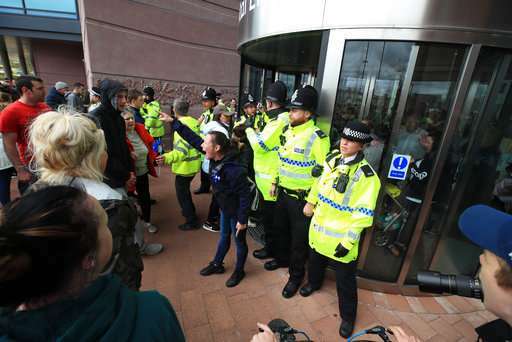 Some briefly blocked a road, chanting "Save Alfie Evans!" One group tried to storm a door of the hospital, but were blocked by police and later retreated. Nicole Winfield in Rome contributed to the story.